The Men of Excellence (MOE) program is a community based partnership program which operates independently of the West Orange - Cove School System. Volunteers in the program work on WOCCISD campuses and within the community to impact student academic success. The Men of Excellence Community Partnership will serve West Orange - Cove students by being a present and positive influence in our schools. All WOCCISD volunteers must complete a criminal history authorization form. Upon clearance by the Human Resources departments, volunteers are also required to submit an emergency contact form and a liability waiver. Once all documents are submitted, volunteers can begin serving on the campus(es) of their choice. Assignments are made at the request of campus leadership through the appropriate Men of Excellence Campus Contact. The Men of Excellence Community Partnership Information Video (mp4) in our ﻿WOCCISD VIDEO GALLERY explains the intent of this volunteer program. WOCCISD Superintendent Rickie Harris shares details regarding the purpose of the program. Additional training is also available on this page. The "MOE Training Document" on the right is the training originally presented to the first class of Men of Excellence volunteers. Men of Excellence volunteers will NOT be asked to discipline students. 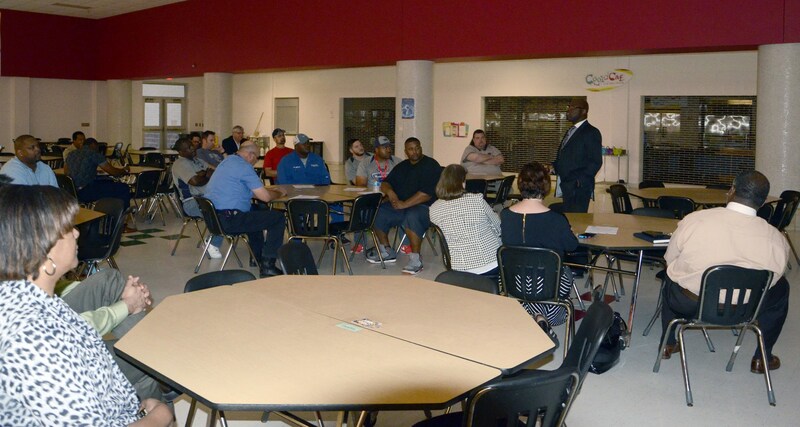 Prospective volunteers attend a spring 2016 Men of Excellence information meeting at WO-S Elementary. Men of Excellence volunteers discuss plans for the 2016-2017 school year during a summer meeting at the WOCCISD Educational Service Center. 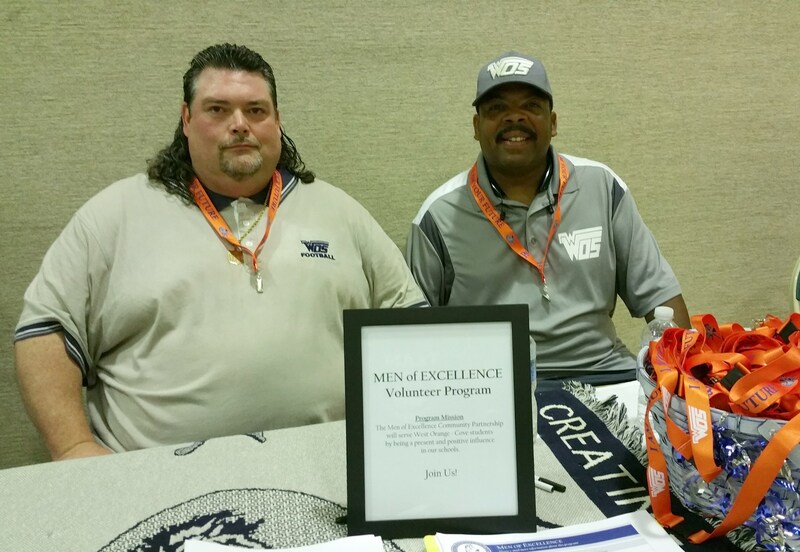 Men of Excellence volunteers Russell Holt and Roderick Robertson promote the organization at the Back-to-School Orange event at Lamar State College. The volunteers distributed "I am your Future" lanyards to students from across the area. 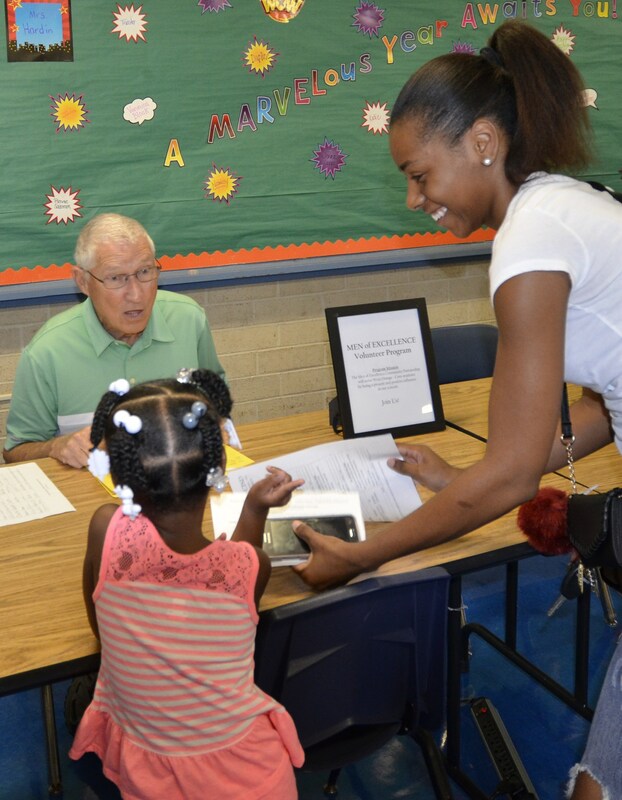 Men of Excellence volunteer Thomas Haas recruits volunteers and talks with students and parents at North Early Learning Center's "Sneak-a-Peek" event. The Men of Excellence Informational Video narrated by WOCCISD Superintendent Rickie Harris is viewable in the Video Gallery (see link at bottom left - under section labeled Men of Excellence Video & Training).